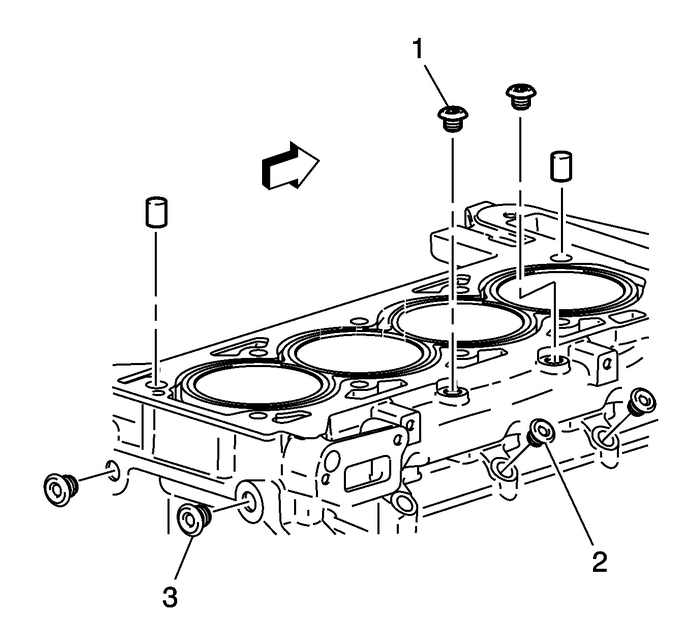 Remove the engine block coolant drain plug.Remove the oil flow check valve.Remove the rear oil passage plugs-(3).Remove the 3 oil passage plugs on each side of theblock-(2).Remove the 2 water passage plugs on the top of theblock-(1).Remove the 2 front oil passage plugs. 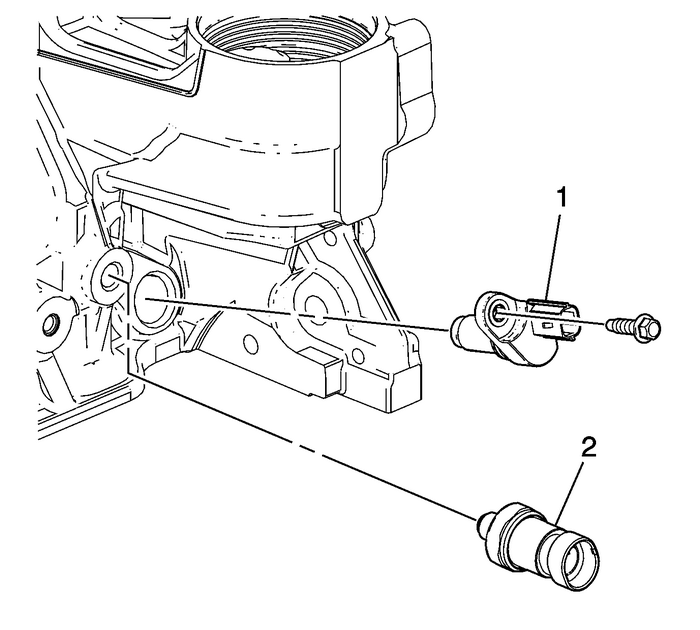 Remove the knock sensor-(1) and bolt. 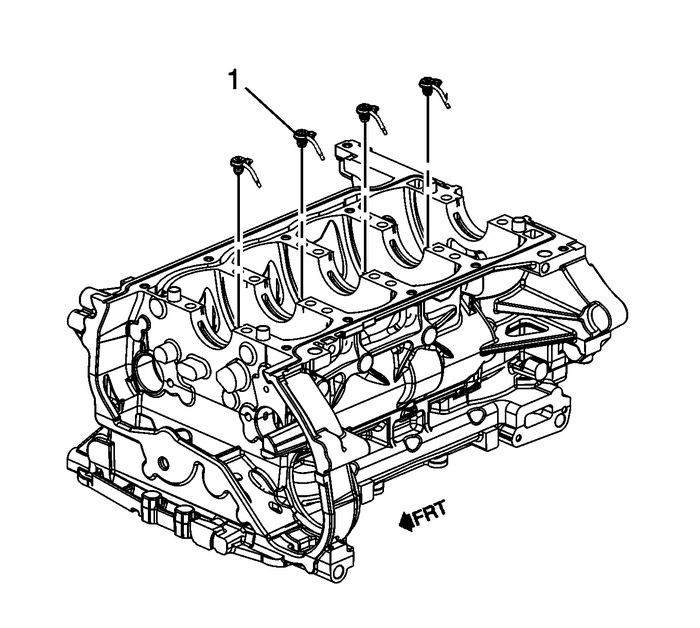 Remove the oil pressure switch-(2).Remove the crankshaft position (CKP) sensor-(1)and bolt. 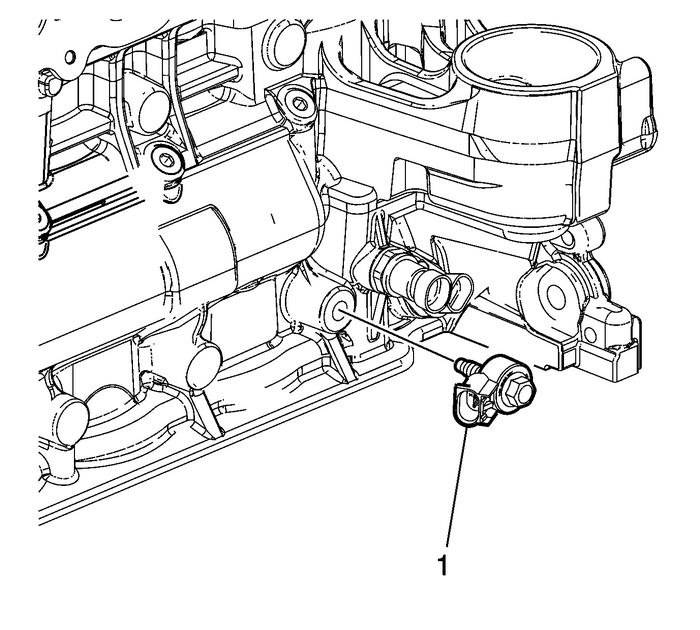 If equipped, loosen the piston oil nozzleassembly-(1) bolt and remove the piston oil nozzleassembly.